Do you, or someone you know, have trouble with offensive foot odor? Are you embarrassed by foot odor when you remove your shoes? Are your socks drenched with sweat by the end of the day, or even worse, by mid-morning? If so, you may benefit from Botox. It's not just for wrinkles anymore. Botox is now used for a variety of medical conditions including hyperhydrosis, incontinence, migraines and spontaneous muscle spasms. Hyperhydrosis (sweaty feet) and bromohydrosis (foot odor) are common conditions affecting millions of Americans. They are often responsible for embarrassing or stressful situations and can have significant psychosocial effects in those afflicted with these conditions. There are about 250,000 sweat glands in the human foot that together can produce up to 4 ounces of sweat per foot per day. Hyperhydrosis and bromohydrosis can be difficult to treat. In society today, wearing shoes is the norm. Thus, the sweat from the feet cannot evaporate. The pooling sweat rapidly progresses to a foul odor. The odor is caused by the byproducts of bacteria. Excessive moisture also encourages the growth of many different types of fungi that can cause odor as well. One of the main causes of sweaty, malodorous feet is improper socks or footwear. Shoes with plastic or other synthetic fabric linings are not absorbent and can prevent sweat from evaporating. Synthetic socks have the same effect, particularly if they are tight. After showering or bathing, dry feet well. Pay particular attention to the area between the toes. A surprisingly high percentage of people do not actually do this. The use of foot powder can limit moisture as well. Alternate shoes. Do not wear the same pair of shoes 2 days in a row. Shoes frequently will not dry out overnight. Avoid socks that do not absorb moisture. Moisture-wicking athletic socks are a good choice. These may be made of merino wool (which does not itch) or a synthetic blend. Change socks or pantyhose often (at least once a day). Air/ventilate the feet. Go barefoot when feasible. Slip feet out of shoes whenever possible (e.g., while sitting with feet inconspicuously hidden under a desk). Avoid hot beverages (such as coffee), alcohol, and spices. These can heat the body and increase sweating. Change your diet. Take note of any foods or beverages that cause excess sweating. Consider eliminating caffeinated drinks (like coffee and cola), alcohol, certain "hot" spices, and foods with strong odors, such as garlic and onions. An old remedy that has been fairly effective in some people is caffeinated tea soaks. The caffeine and tannic acid in the tea constrict sweat glands, thus reducing the amount of sweat produced. Soak feet in caffeinated tea for approximately 15 minutes, 2 times a day. Typically, a decrease in sweating and foot odor is seen by 2 weeks. Shoes should also be disinfected to help reduce odor. If these measures do not help, topical medications such as formaldehyde (Formadon or Lazerformalyde) or ostiderm can be prescribed. These products work by drying and absorbing moisture on the skin, but may have side effects such as local irritation or allergic reactions. Anti-perspirants and deodorants may also be used to reduce sweat. These anti-perspirants contain aluminum chloride and work by blocking the opening of sweat glands. Regular over-the-counter anti-perspirants typically contain 1 to 2% aluminum chloride while prescription strength products may contain as much as 15 to 20%. Side effects of these anti-perspirants include skin irritation, and results are often insufficient to stop sweaty feet. A new product called the Steri-Shoe has been very helpful in reducing bacteria and fungi in the shoes. This novel treatment comes in the form of a shoe tree and uses an ultra violet light that kills 99% of pathogens including MRSA in just 45 minutes. 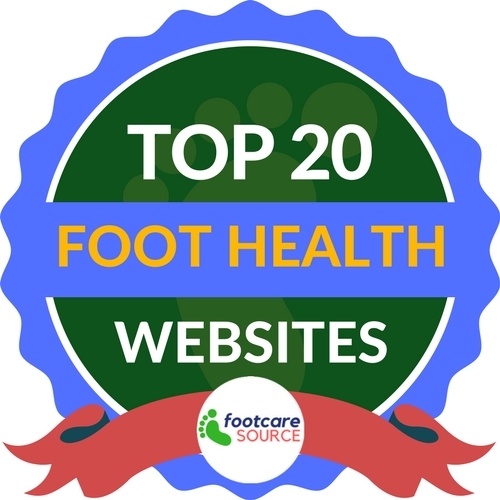 It can be picked up at some Podiatry offices or online at www.SteriShoe.com. For more severe cases, many patients are now turning to Botox. Botox is the most popular non-surgical cosmetic procedure in the United States today. It has helped many patients look more youthful, deal with incontinence, muscle spasms, and migraines. Botox is FDA approved for the treatment of excessive underarm sweating and is now used for the treatment of sweaty feet. Botox is made from a toxin produced by a bacterium called Clostridium botulinum. When the toxin is injected locally at a specific site, the nerves and in that area are blocked and the sweat glands are essentially paralyzed, thus preventing excessive sweating. Results typically last 6 to 15 months. For more immediate information on botox treatment for the foot and how we can help, please contact Advanced Podiatry at either our Huntington podiatry office, our Roslyn office, or our soon to be Manhassett office! Or contact us through our site's request form.